In this article, you will learn about the different sources of startup funding for small business. Every business venture should start with a great idea. However, even if you have a killer idea and a realistic vision of how you want to turn that idea into reality, most business owners would agree that the hardest part for any startup is finding the funding it needs to get going. In other words, if your ideas are great but your execution is poor as a result of lacking proper finance, then, your great ideas is as good as dead. More precisely, finding a realistic way to fund your startup without threatening your future or overburdening your business before it even opens its doors is a wise decision. 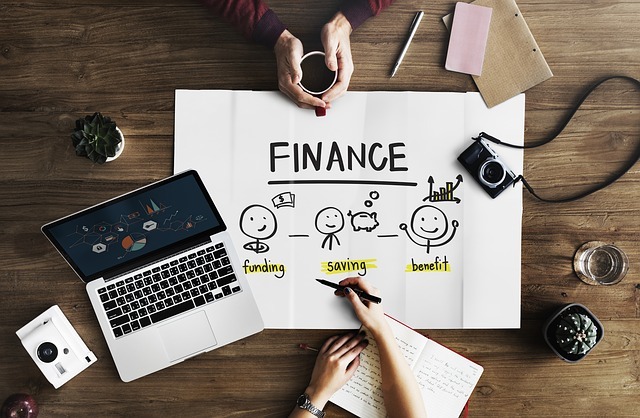 Luckily, thanks to the latest innovations in modern financing, there are a few ways to source for the right startup funding for your small business. The best place to start securing the funding you need for your startup is by trying and figuring out just how much money you will require to get your business off the ground. This is an often overlooked practical way of getting startup funding for your small business without running out of steam. There are many costs and difficulties to running a business that you may not have anticipated, which is why doing thorough research and articulating it into your business plan is an integral part of the whole process. On top of this, having a well-made business plan should also help you attract any future investors as it will show that you are very much dedicated to the goal of seeing your business succeed. A common mistake people tend to make here is undervaluing the amount of money they are going to need. It’s always safer to assume that unexpected costs will arise. And it is always better to get more funding for your startup rather than less, as running out of funding can be one of the biggest disasters your small business can face. Funding your business venture from your own pocket can be a good way to start, and many entrepreneurs employ just this strategy. This does mean that you will have to dig into your savings, look into selling some of your property (if you have them, that is) or alternatively to start saving up. The approach has many upsides; mainly, it allows you the most freedom as it leaves the control of your startup fully in your hands. However, it does have its downsides as well. Investing your savings and livelihood into your business will tightly bind you to its success, which means that if things are to go south, you may find yourself in trouble. Another way to approach this is to call your friends and family to help. It may feel that it would be awkward for you to ask them for money, but, if you have a business plan and are able to stand behind your vision, they will surely be willing to support you. Now, they most likely won’t be able to cover all of the funding you need, but remember, every little bit helps. Business loans have always been the standard way most startups get the funds they need. And, while they do put a bit of a burden on your company, they are undoubtedly the safest and most accessible route to take in order to ensure your business is well funded. Traditionally, most people turned to the banks in order to get their business loans. However, in recent years banks have become stricter are more reluctant when it comes to giving out credit to businesses. Luckily, there are now other ways of getting your business loan. Companies such as Cigno Business Solutions specialize in getting small businesses quick and easy access to loans, and can offer you a way to make the whole process even easier and less daunting. But, once again, in order to get the best possible deal, you will need to pay a due amount of time into making your business plan as well put together as possible. Looking for funding through outside capital, most specifically angel investors, is the preferred way to go for many small businesses, especially if they have a brilliant idea behind them. The great thing about angel investors is that unlike loans, their investments don’t need to be paid back, giving your business a better prospect for future growth. However, the downside is that this form of funding does require you to give up a part of your ownership of the company. This is why it may not be the best option if you wish to have full freedom over where you take your business. Crowdfunding is one of the best things that has happened for those who have been looking to fund their business in recent years. There are many sites such as Kickstarter and GoFundMe that give you the ability to take your idea to the internet and gather funding for it through the donations of many different individuals. It allows you to both avoid the burden of placing your business into debt and still keep it fully under your control. While the way in which you choose to go about funding your business will ultimately come down to your preferences and the needs of your business, it’s a good idea to keep in mind that you don’t have to just pick one way and stick with it. You can instead diversify your funding and optimize by experimenting with a few different methods, or all at once. As long as it produces the most desired outcome in the end, the possibilities are endless. Fast and easy done-for-you Google Ads service for your business. Use this tool to simplify self-employment taxes. Keith Coppersmith is a business and marketing expert who has experienced both the rise and fall of many businesses. He enjoys writing and providing insight based on both practice and theory. Get updates, business ideas, and exclusive coupons and deals right in your inbox. We won't spam you. Add Ideas Plus Business to your Homescreen!